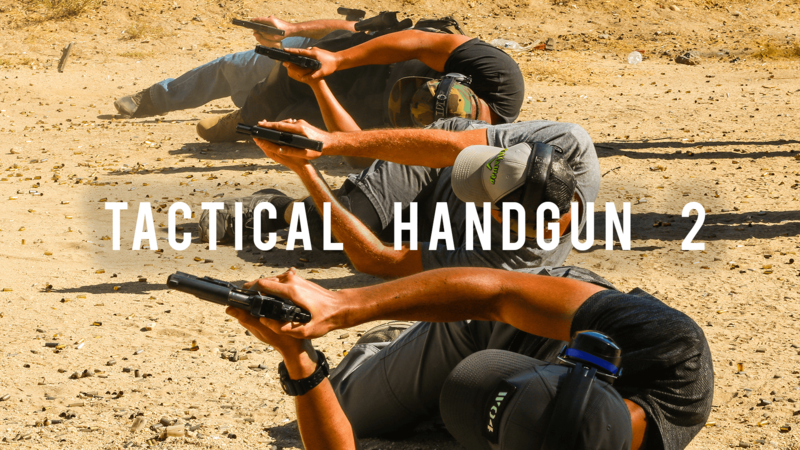 AS OF MARCH 2019, WHAT WILL BE KNOWN AS “TACTICAL HANDGUN 2” IS A COMPLETELY NEW ADVANCED CLASS AND TAKING “TACTICAL HANDGUN 1” OR A SIMILAR CLASS IS A REQUISITE FOR IT. 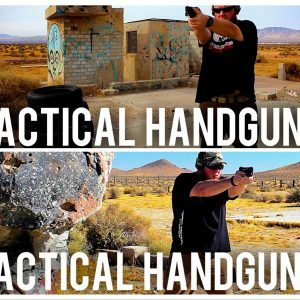 WHAT WAS ONCE KNOWN AS “TACTICAL HANDGUN 1&2” HAS BEEN PERMANENTLY COMBINED/RENAMED AND IT’S NOW JUST CALLED “TACTICAL HANDGUN 1”. IT IS THE SAME EXACT INTERMEDIATE COURSE THAT USED TO BE CALLED “TACTICAL HANDGUN 1&2”. AGAIN, “TACTICAL HANDGUN 2” IS A BRAND NEW, ADVANCED CARBINE CLASS. CLASSES WERE SIMPLY RENAMED TO SIMPLIFY EVERYTHING. This all day class will focus on advanced techniques and drills for defensive fighting with a handgun. We’ll refresh how to excel with the limitations California has put on you (ie 10 round magazines, roster of approved handguns, etc.) Before jumping into the deep end of handgun techniques, ammunition management, communication, awkward shooting positions, utilizing cover and more. Lot’s of moving around in this class. THIS CLASS IS THE NEW ADVANCED HANDGUN CLASS, NOT TO BE CONFUSED WITH WHAT WAS FORMERLY KNOWN AS TACTICAL HANDGUN 1&2. In this class we take your Handgun skills to the next level. For intermediate/advanced shooters only. This course will be held Saturday July 6, 2019 from 9:00am-5:00pm. Lunch will NOT be provided so please bring your own lunch. There is nowhere nearby to run and get food so if you do not bring any, you’ll be hungry.